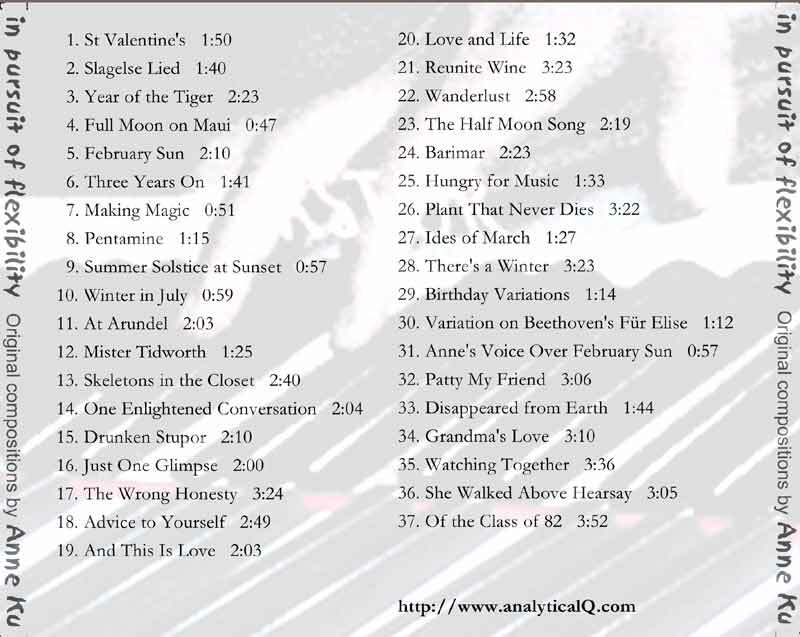 CD for sale to support analyticalQ website. Listen to MP3 samples there. analyticalQ also thanks the sponsors. Please contact the Webmaster to find out how you can be a sponsor. Tell someone about this CD! 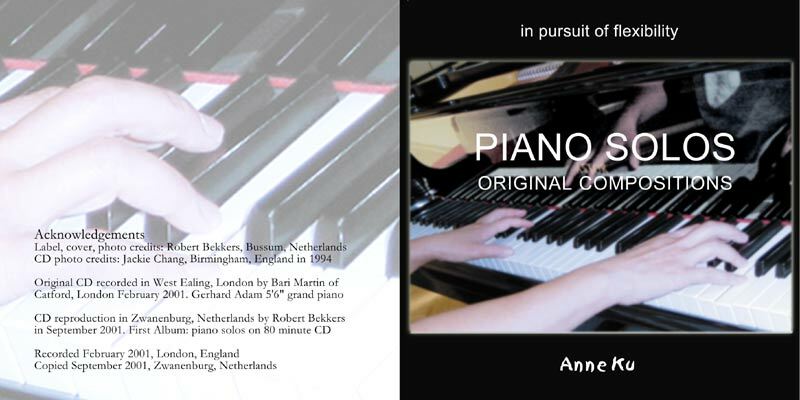 Recorded on Gerhard Adam grand piano, February 2001, London, England. Released March 2002, Bussum, Netherlands. There's a personal story behind every piece. Please click on the title for the story. 7. Making Magic inspired by Vikram's Seth novel "An Equal Music"